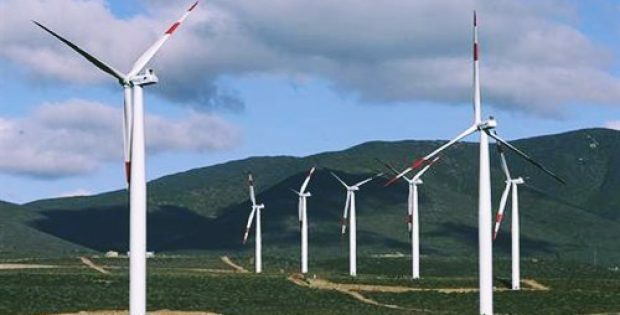 SGRE (Siemens Gamesa Renewable Energy) a Spanish turbine manufacturing company has recently disclosed that it would be supplying wind turbines (92 units) to Grupo Jorge, Viesgo, Comunidad General de Riegos del Alto Aragón and two undisclosed energy companies. These wind turbines, with a total capacity of 289 MW will be installed at ten wind farms located in Malaga, Guadalajara, Zaragoza, Lugo, Cadiz and La Coruña. As per the deal, wind turbine models SG 3.4-132 (58 units), SG 2.6-114 (28 units) and SG 2.1-114 (6 units) will be supplied by SGRE from October this year, depending on the status of each project. Grupo Jorge will be provided with SG 3.4-132 turbine (23 units) which will have capacity of 82 MW for their El Aguila II and Coscojar II wind farms that are located in Zaragoza. The service for these wind farms will be provided by SGRE for a duration of 10 years. According to a contract, the El Marquesado wind farm, owned by Viesgo situated in Puerto Real (Cadiz) will be supplied with SG 3.4-132 turbines (7 units) which will provide 24 MW of energy. SGRE has agreed to operate and maintain their turbines for a period of 15 years. Under the EPC (engineering, procurement, and construction) contract SGRE will build the El Balsón wind farm in Gurrea de Gállego (Huesca) which is owned by the Comunidad General de Riegos del Alto Aragón. According to EPC, SG 3.4-132 turbines will be installed on site that will have a capacity of 31 MW. SGRE has also received an order for SG 3.4-132 (19 units) and SG 2.1-114 (6 units) turbines for three wind farms by an energy company located in Malaga, Lugo, and Guadalajara which will have a sum capacity of 79 MW. Another energy company with three wind farms, out of which two are located in La Coruña will be installed with SG 2.6-114 (28 units) turbines.